Let’s learn some Campari History, this Italian aperitif and drink ingredient have been around for some time. Let’s learn everything you need to know about it. Including how to drink it. 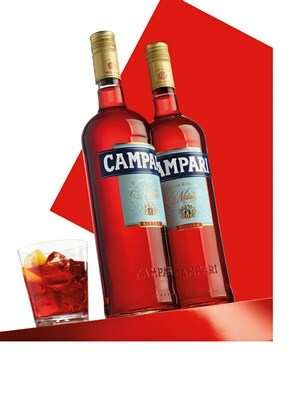 Campari, I’m sure you’ve heard the name before. It’s one of those names that tend to stick even though you might not know what it is. That’s at least how it was for me. 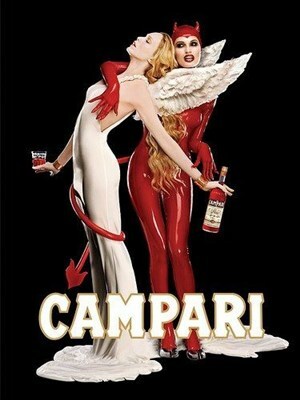 I always knew Campari was some sort of drink and one that felt cool and sophisticated. I think I heard someone ordering Campari and Soda in a movie and the name got stuck somehow. So once I was old enough to start going to bars the investigating started. This was years before the internet so a library or a bar was the only places to pick up knowledge like this. Naturally, I tried the bar. My first sip of Campari and Soda was a bit of a shock, bitter as hell and not very tasty at all. I think it took at least ten years before I dared to try it again. Now I’ve learned to love Campari both on its own and as an essential drink ingredient and if you don’t already have a bottle at home or think you don’t like it then think again. 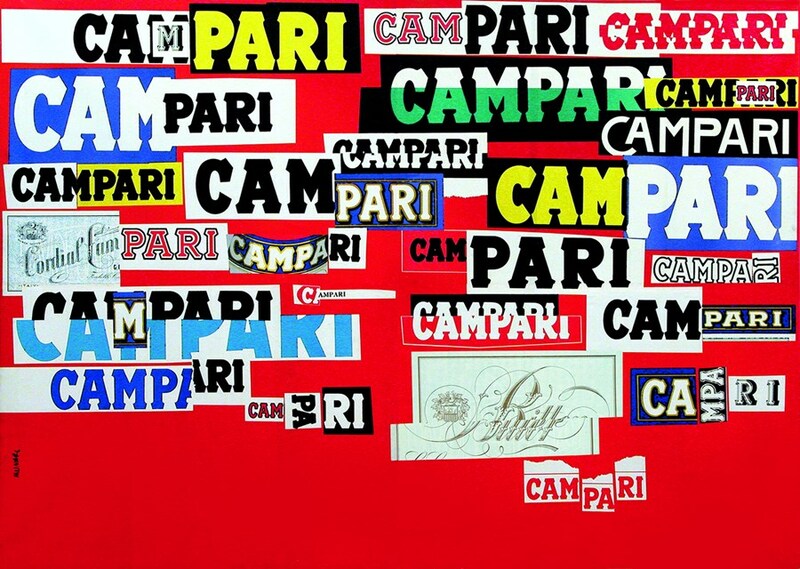 Campari is one of the great ones. But what is Campari? Let’s check out some Campari history and of course, how to drink it. Enjoy! Campari is an Italian bitter flavored liqueur. It is considered an aperitif. The color is dark red and the alcohol content is between 20,5%-28,5% depending on where it is sold. 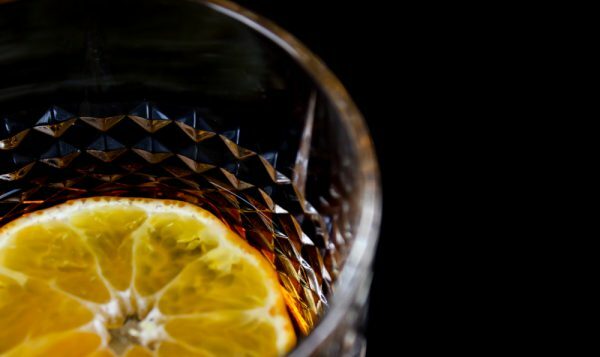 The liquor is flavored with herbs and fruits, including Chinotto and Cascarilla. Chinotto is a citrus fruit which is similar to myrtle. The fruits are small and bitter and are used in many other drinks besides Campari. You’ll find it in most Italian bitters called Amari. It is also used for making Italian Chinotto soda. Do try that the next time you’ll find it. It’s the Italian Coca-Cola I guess. Cascarilla is a shrub where the bark is used for flavoring. Besides as a flavoring in Campari the bark is used as a tonic, fever reducer and in Vermouth. The red color in Campari comes from colorings. The type of red color used can vary depending on where in the world you are. From the start carmine red was used which is made using crushed cochineal insects which live on cactuses. This red color is still used for some markets and in many other foods and drinks. 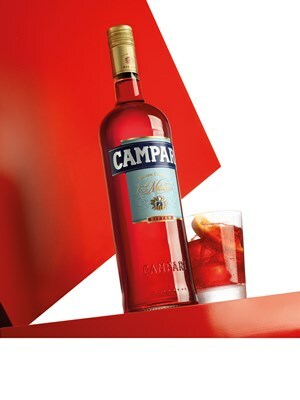 The Campari brand is owned by the Campari Group which is based in Milan, Italy. Besides Campari, they own over 50 other brands including Aperol, Amaro Averna, Grand Marnier, SKYY Vodka, Wild Turkey and Appleton Estate just to name a few. 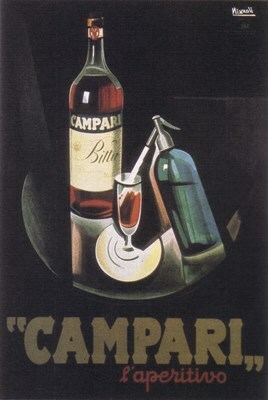 Campari was invented by Gaspare Campari in 1860 in Novara, Italy. Novara is located in Piemonte, west of Milan. The inspiration for Campari came from a cordial from Holland but Gaspare wanted to create a version of his own. The drink became a success and in 1867 Gaspare opened a bar in Milan, next to the world famous Dome. The bar was named Gaspare’s and there Gaspare himself continued to serve his own mixed drinks and cordials. The Campari turned out to be the most popular one. Gaspare passed away in 1882 and the business was inherited by his sons David and Guido. They quickly started to sell Campari to other bars and restaurants and thereby starting what today is a drink you can find all around the world. 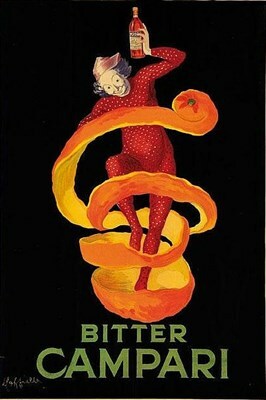 In 1904 the production had become so large that Campari opened its first production plant. After the factory was built the international sales got started. Its first place of export was Nice on the French Riviera Not a bad place to enjoy a Campari Spritz if you ask me. Before we get into the flavors I do need to point out that Campari is an acquired taste. But if you’ve fought to like a flavor before you know that it is always worth the time. The stuff that you learn to love often ends up being greater loves that you thought possible, this is very true for Campari. The flavor is sweet and bitter at the same time. The flavor is full of herb and citrus but more in a sweet orange way than in the sharp citrus of lemon. The drink feels very rich and will leave you with a bitter, but tasty flavor in your mouth after each sip. The bitter element is what makes this a flavor to acquire, but also what makes it great. There are plenty of similar aperitifs as Campari, but not many that are exactly the same. What I mean by the same is that they have the same type of relation between alcohol, bitterness and sweetness. 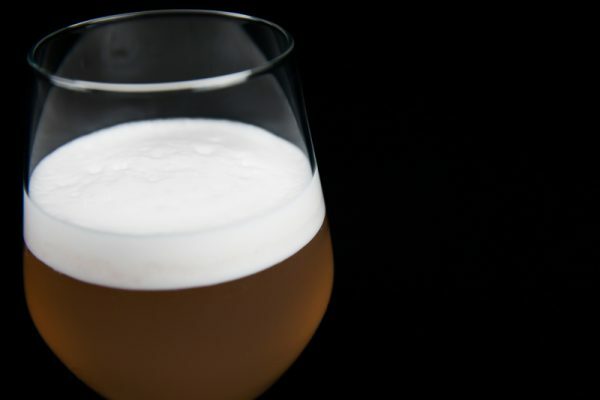 The flavor can vary but the way to drink it and use it can be applied. So you can make some fun experiments by replacing Campari for different types of aperitifs and see how you like it. Similar brands that I think is worth giving a try is Aperol, Pimms, Lillet, Cocchi Rosa and Cynar. These are all in the same category but with new flavors compared to Campari. You can use Campari as a drink ingredient and that’s my usual go-to way. It’s perfect when you want a bit of character in a cocktail but don’t want to go to the cocktail bitters (that you can learn more about here). 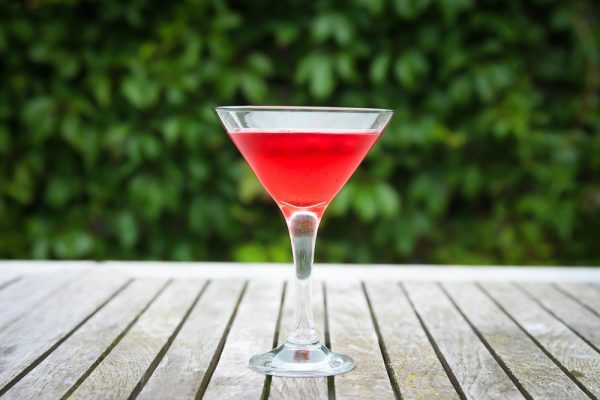 I’ve rounded up a few of my favorite cocktail recipes with Campari below. What you won’t find there is the most common way to enjoy a Campari in Italy and that is simply with soda. Campari, soda and ice in a glass, best enjoyed with some snacks in an Italian café. 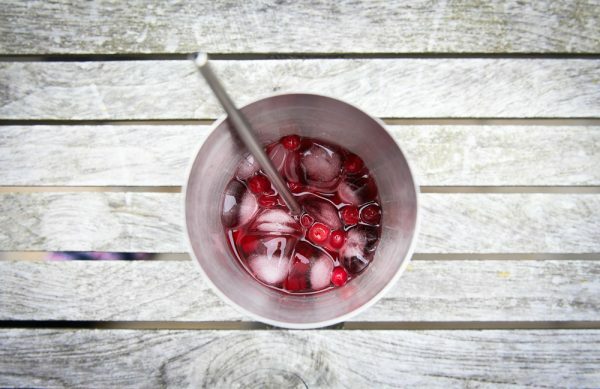 It works great with just ice as well but don’t be cheap with the ice, fill a glass completely and then add the Campari, delicious before dinner on a hot day. 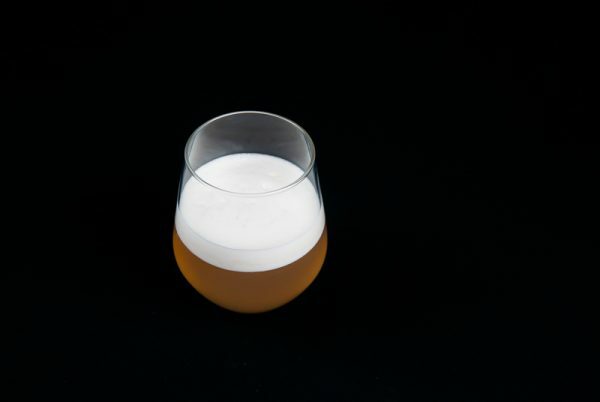 It used to be common to serve it with orange juice, a Campari and orange but I never really liked that but if you think it sounds like something you might like then go right ahead. Now let’s look at a few more Campari recipes, and yes the Negroni is one of them. Here’s a few recipes that all feature Campari if you want to try something new. The lingonberry liquid in the recipe is the excess liquid you’ll get when you stir fresh or frozen lingonberries with sugar. It’s a quicker variety of jam that is used the same way. This is how to make it. So let’s make the drink. What I like about it besides the great flavor is the pinkish color it gets from the addition of Campari. There is also something about drinks with egg white in them that I love. The look of the drink is just great. Add all ingredients to the shaker. Add ice and shake hard for about 30 seconds. Strain into the glass and serve. Most fizz drinks are served in old fashioned glasses. Most fairly wide glasses work fine. The glass I’m using is a red wine glass without a foot. I got it at IKEA for very little money which is always nice. Good luck! I like to stir my Negroni with ice. Add gin, Vermouth and Campari to the pitcher, add a handful of ice. Stir using a spoon. 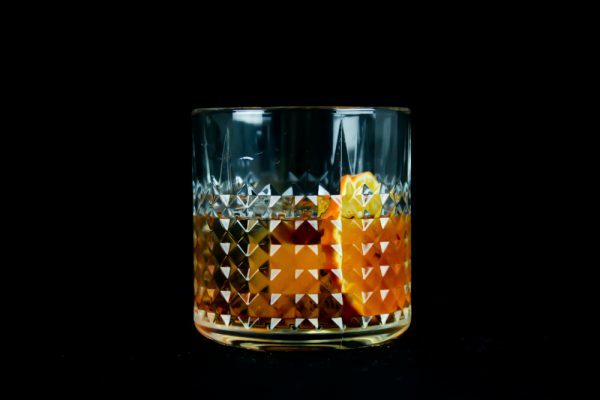 Add one big ice cube to an old-fashioned glass. Pour in the drink without allowing any of the small ice cubes to slip in. For the orange I like to add a slice, many add just a piece of skin so it’s up to you. Once the orange is in it’s time to start drinking. Enjoy!